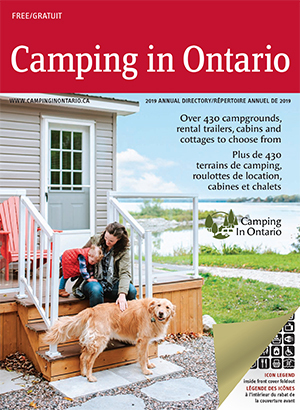 "As a vital and active stakeholder in tourism, Camping In Ontario supports member campgrounds in the Province of Ontario by educating campground owners, marketing camping in Ontario to the general public and advocating to government." We define A Campground is a recreational facility which offers temporary access to the vacationing and traveling public to use individual campsites at a set rate. Unlike Mobile Home Parks, Campgrounds do not offer site use agreements for the purpose of principal/permanent residential occupancy. Campgrounds offer campsites equipped for use by customers providing their own tents, recreational vehicles (campers, trailers, motor homes, park model units) for recreational use. Campgrounds may also offer recreational vehicles or temporary cottage accommodations for a set rate. Campgrounds may, but are not required to, offer a variety of services to campground guests that support the recreational nature of their business. Campgrounds may also facilitate on-site, non-use storage of recreational vehicles. If you are interested in joining our Association as either a campground member or as a supplier who has a product or service that would benefit our campgrounds, please call the office at 877-672-2226. A staff member will be more than happy to assist you at any time. For more information, click on how to join the Association, go to the Become a Member Tab or Become a Supplier Tab.